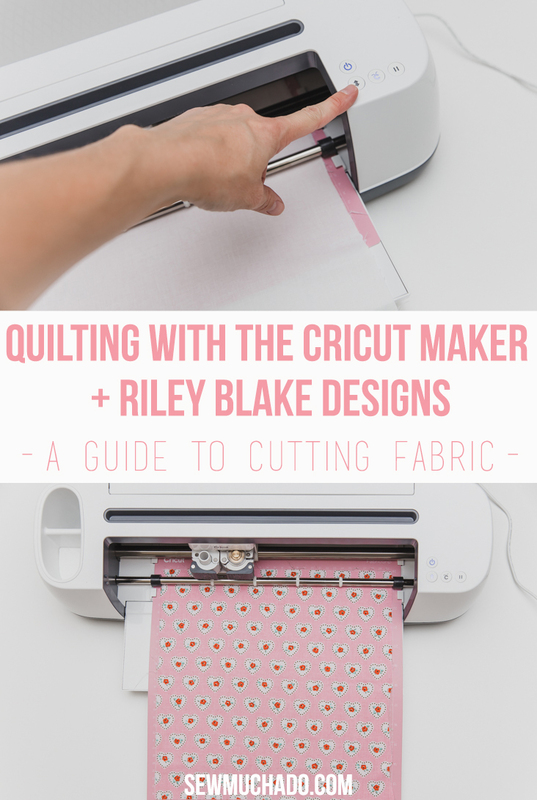 Last week I shared all about how to get started on your quilt project using a Cricut Maker and Riley Blake Designs quilt kits and patterns, and today I’m going to walk you through the magical process of how to cut quilt pieces with the Cricut Maker! 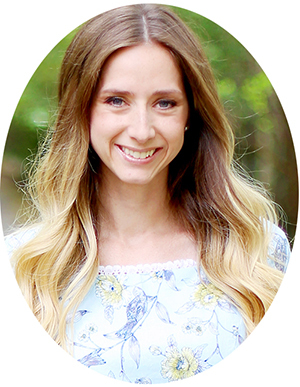 If you missed last week’s post, you can head here to start from the beginning. Once you have your pattern and fabric chosen and fabric prepped (all covered in last week’s post! 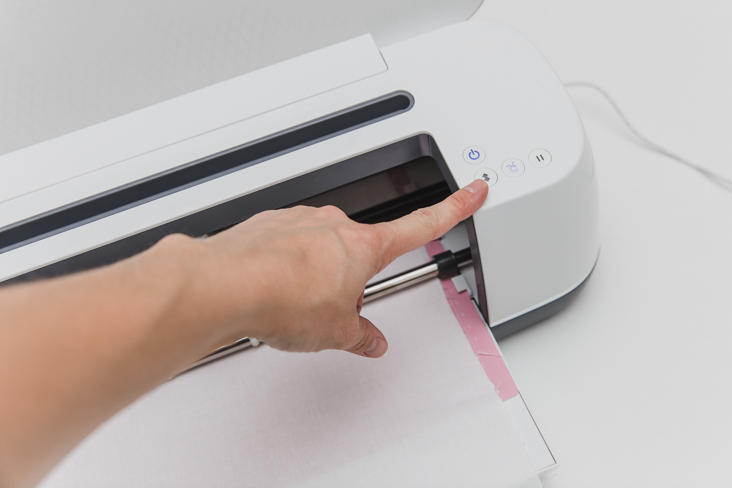 ), you are ready to begin cutting. Or to be more accurate, put your Maker to work cutting ;). 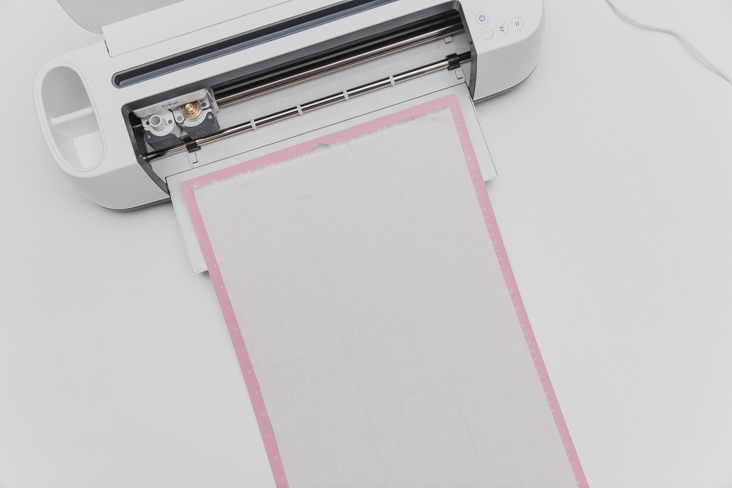 To cut fabrics, the Maker uses a rotary blade, which slices through the fabrics easily, and without any snags or pulling on the fabric! 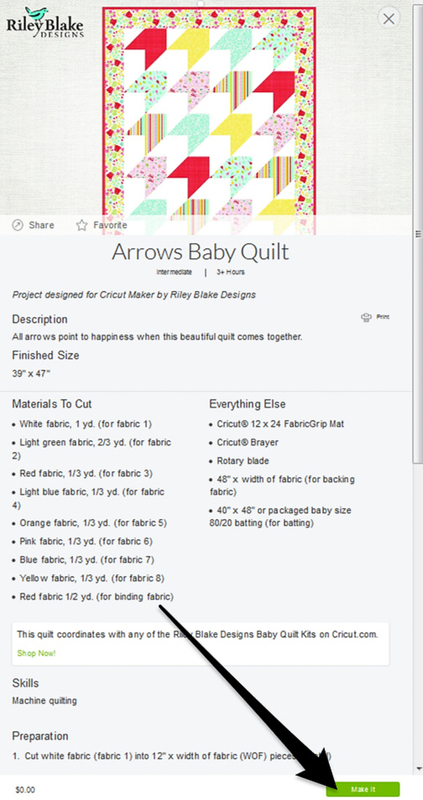 Using Riley Blake’s Little Dolly Quilt Kit and Riley Blake’s Arrows Baby Quilt, I was excited to get started! 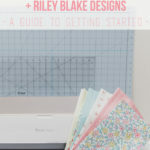 Cricut and Riley Blake are such a great combo, and it really is a dream team of a collaboration that has made my quilting more fun and easy. Because of the perfectly cut pieces, my finished products have jumped to a new level! 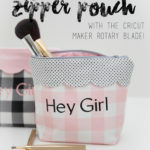 At first I wasn’t sure if I should feel guilty about not having to cut the fabrics myself, but I decided that there is no room for guilt in sewing, and I’ll just enjoy it! 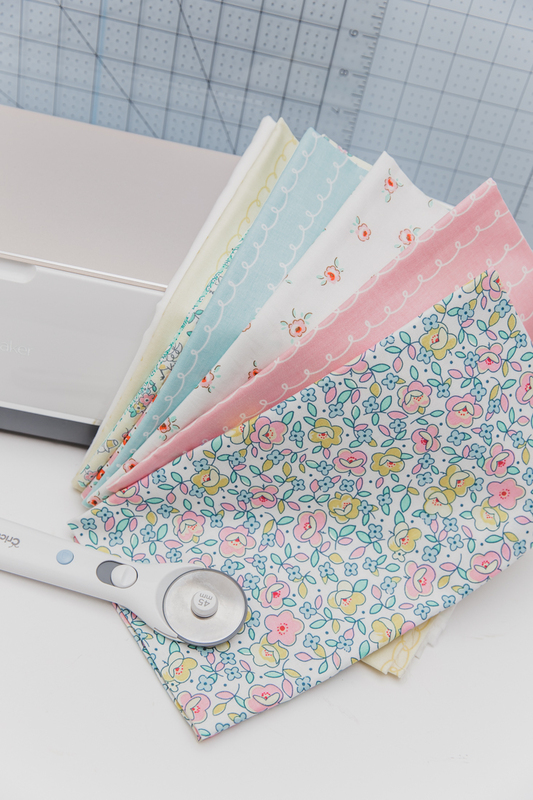 I also appreciate that it saves my hands and fingers from all the hand cutting – do you ever get finished cutting a quilt out and then are too tired to sew?? 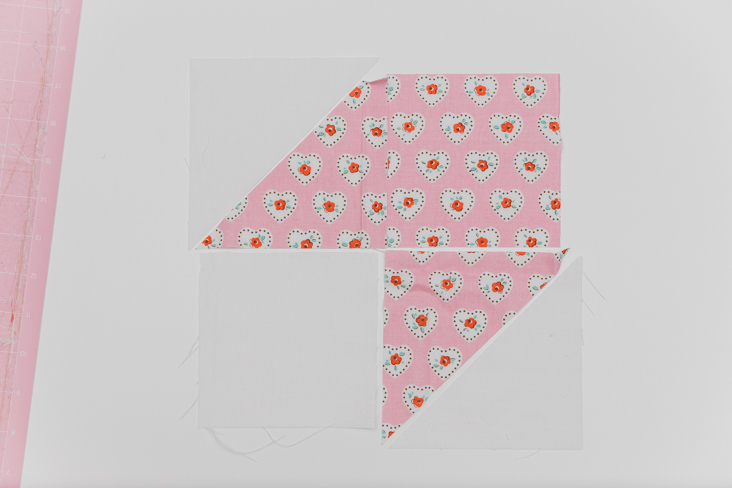 Before cutting, it’s a good idea to read through the pattern and assign a number to each fabric that correlates with each fabric in the quilt instructions. 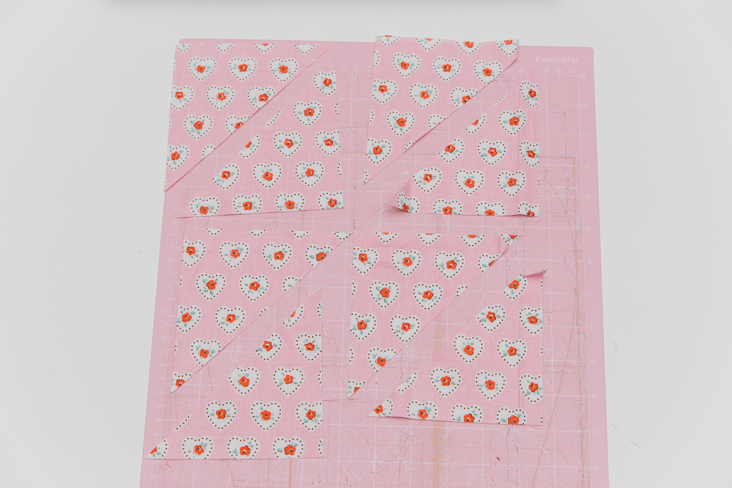 I also like to lay out the fabrics in that order so I can keep track of which will be which designs according to the pattern instructions and know that I’m cutting each fabric correctly. 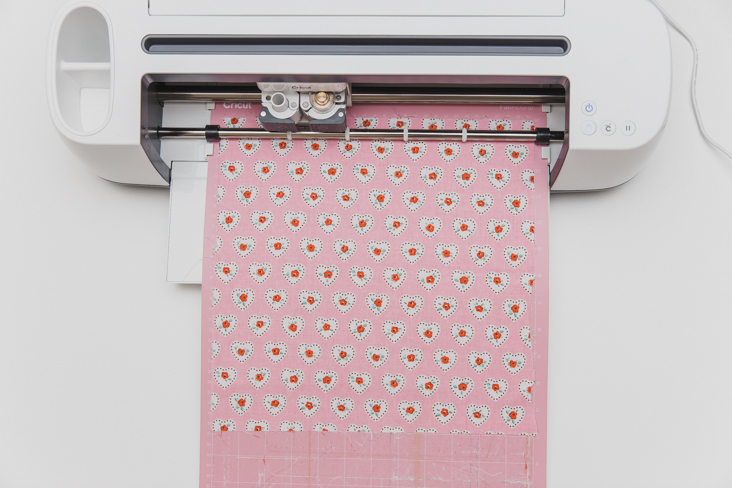 Once you’re ready to start cutting, click “make it” when viewing the pattern in Design Space. 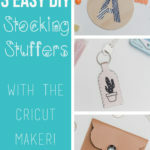 Grab your Maker and fabric mat (don’t worry about little strings left on the mat from previous projects! 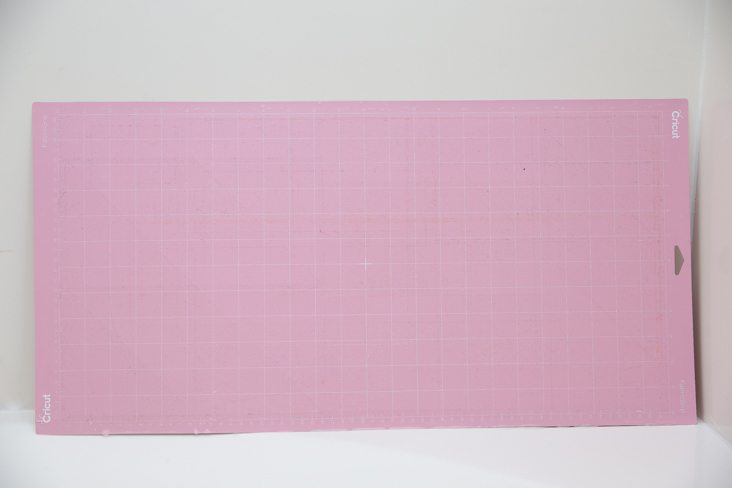 ), and follow the Design Space order to place the first fabric on the mat, pressing to smooth it in place. You can see that I didn’t trim the selvage from the white fabric, I just placed it slightly above the cutting area so it wouldn’t be included in the pieces cut. As a side note, the pattern didn’t specify the length to cut each white fabric piece (there were 5 mats worth to cut of white), so I left the fabric extending beyond the bottom of the mat with each cut and trimmed it after. You can also look at the mat diagram within design space to get an idea of how many inches in length each fabric needs to be, but this saved me a bit of time and counting ;). 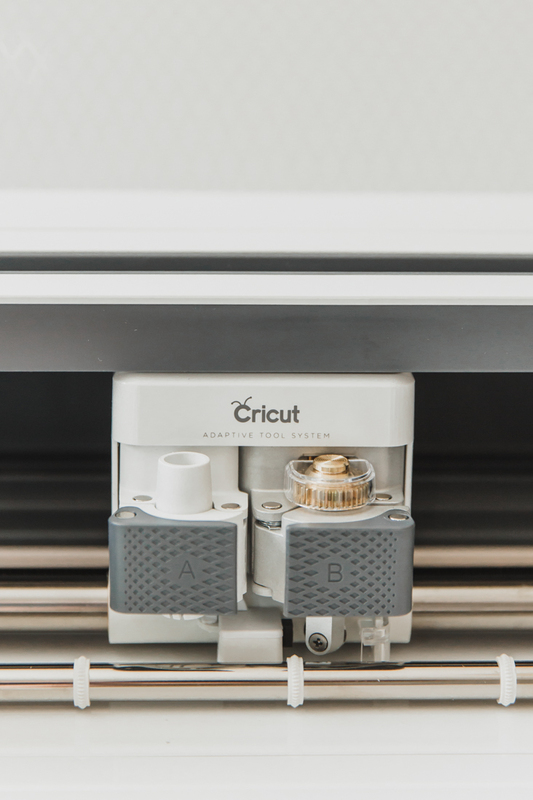 Press the arrow to load that mat, and once the mat is loaded, press go (the Cricut logo)! While the Maker is cutting the fabric, I like to use that time to press the other fabrics so they’re ready to be loaded into the Maker next! 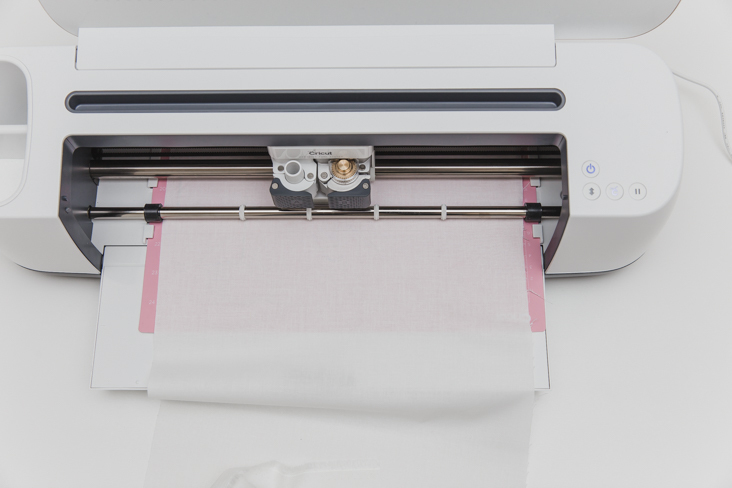 After the Maker’s rotary blade has worked it’s magic, you can peel up the cut pieces and place them back in their spot among the fabrics. Next, repeat this process with the other fabrics, following the Design Space prompts. 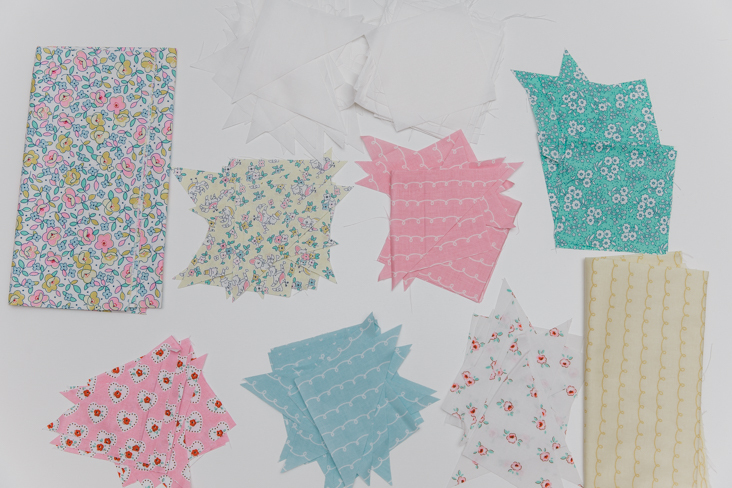 You’ll soon have all your fabrics cut perfectly (make sure to read my note below about directional fabrics!). Notice my border and binding fabrics are still in their original yardage – I cut them later using the rotary cutter and mat. 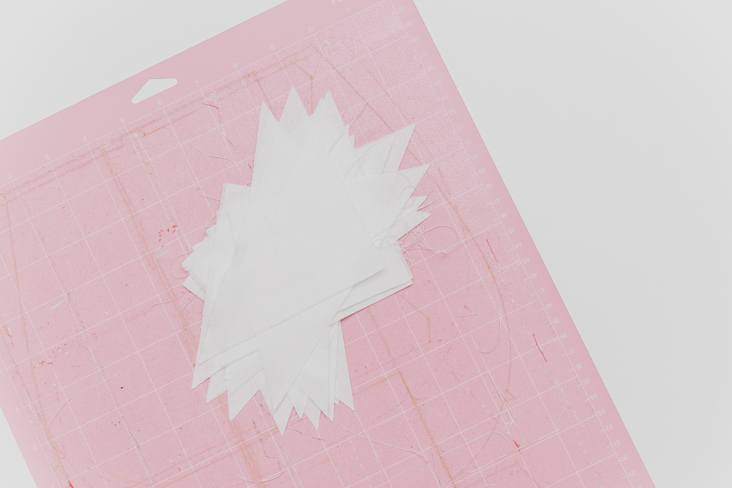 It’s always important to check that all of your pieces are cut correctly and that you have the correct amount of each before sewing, and I was especially glad that I did! I arranged a few blocks to see how they would come together, and noticed that the HST (half square triangles) would be oriented in the wrong directions in the finished blocks. 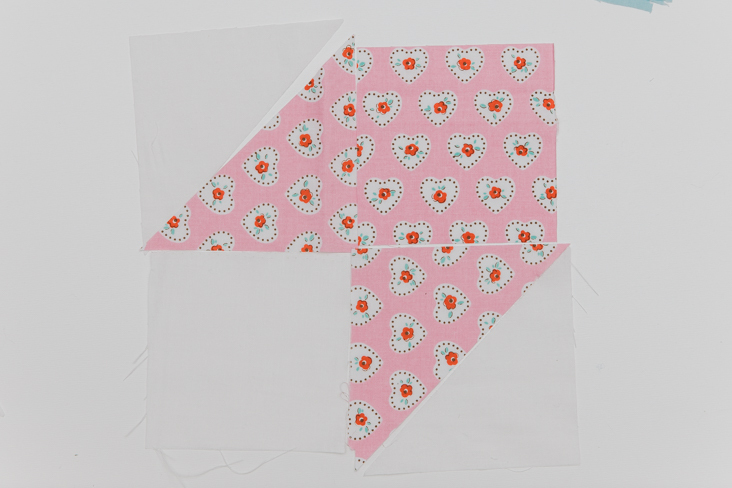 Luckily, the quilt kit included enough leftover of each of those fabrics to re-cut just the HSTs. 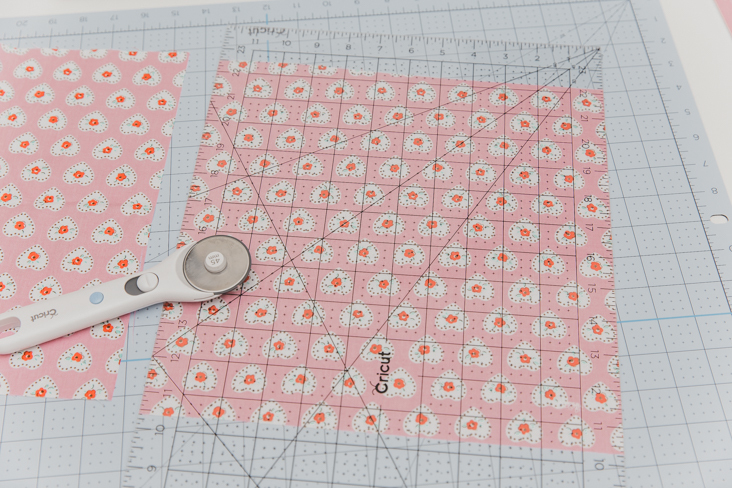 After checking the mat layout in Design Space for those fabrics, I used my mat and rotary cutter to cut a 12×12″ square of each fabric and rotated 90 degrees from the original cut direction (the 12″ wide ruler came in especially helpful with this), and the result was blocks that were all oriented correctly. Yay! 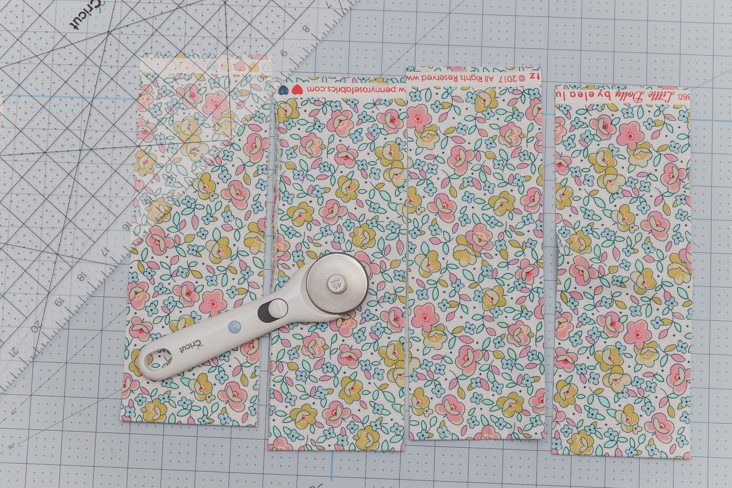 You can imagine my delight when I matched up the pattern and solid HSTs with each other and saw what a perfect fit they were! 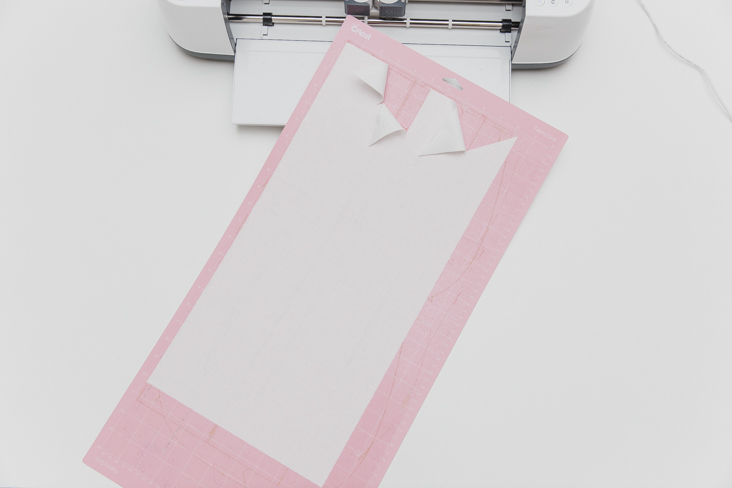 I knew this would make my sewing so much easier and a much prettier finished quilt! 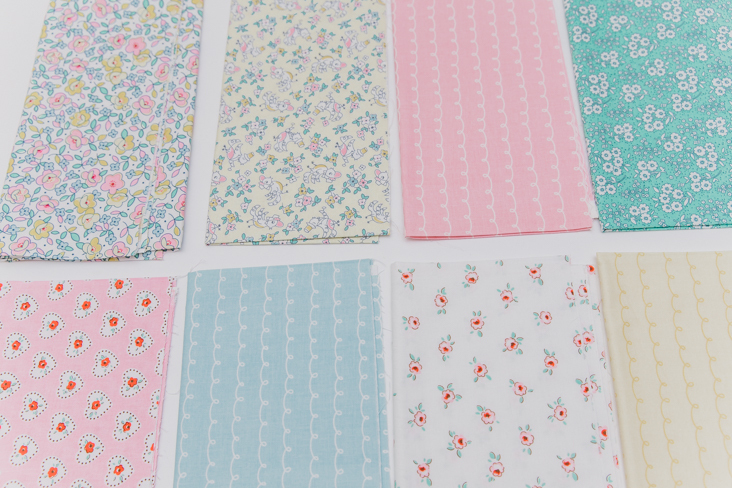 A bit about the fabric mat… First, I looove it! I was nervous about how well it would hold the fabrics without distorting them when removed, but it’s the perfect amount of sticky. 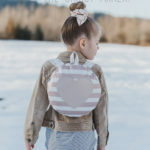 I’ve made a number of projects with the same mat, including the free baby pants pattern I shared with you, a bow tie for Weston, and even a backpack, and it was only near the end of cutting all of these quilt fabrics that it lost it’s grip. Below is a photo after I was done with all of those projects. To clean the fabric mat, I simply put a little warm water, drop of dish soap, and bit of vinegar into the bottom of my bathtub. 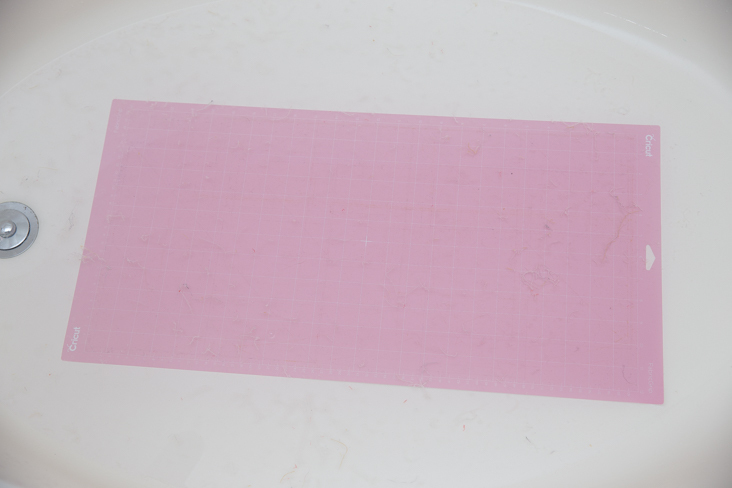 I placed the fabric mat into the water, and the threads almost immediately started to lift. It’s important to not scrape or scratch the mat, just gently rub, and it will be clean in literally a matter of seconds. 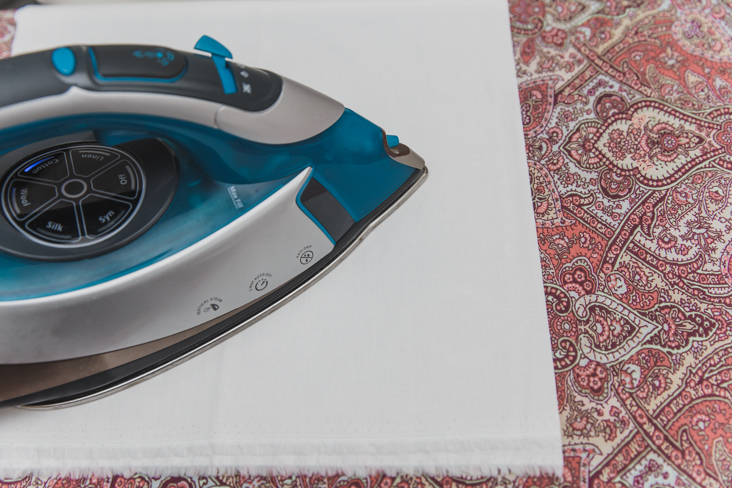 Once clean, give it a quick rinse and let air dry. 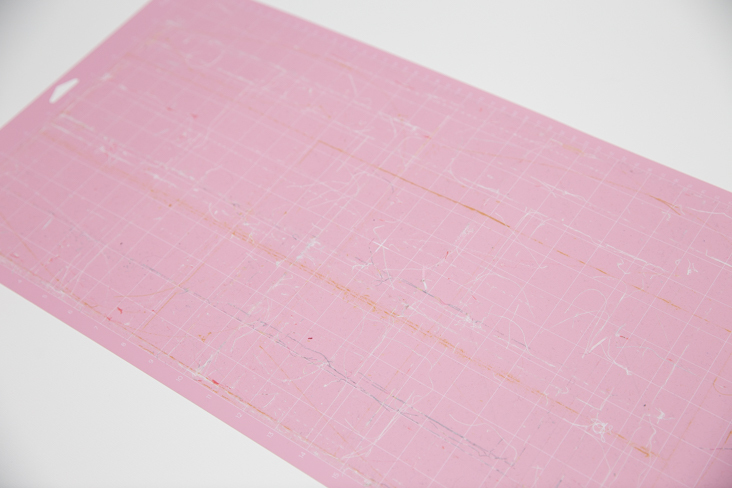 The stickiness will be back once dry and your mat will be ready to use on your next project. Below is the after photo – see how new it looks? 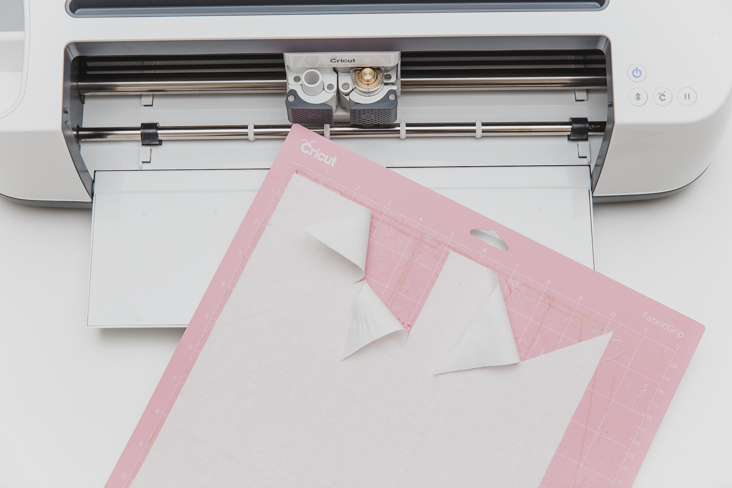 Now that you’ve mastered how to cut quilt pieces with the Cricut Maker, it’s finally time to sewing your quilt together! 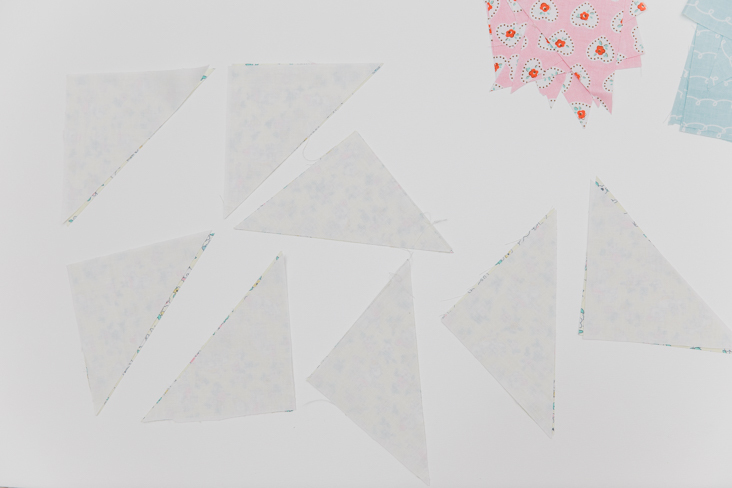 I’ll be back in a few weeks to share my tips for sewing a quilt, and will finally get to show you the finished product! Until then, happy sewing!